When should you open light? How can you decide whether to bid six no trump or six of a suit? How can you prevent the defense from promoting an extra trump trick? How can you survive a bad trump break? What sort of false card is most likely to mislead a defender? You'll find all the answers here, from David Bird, one of the world's leading bridge writers. In his usual clear and entertaining style, he explains how to tackle dozens of situations often mishandled by the average player. David Bird is one of the world's leading bridge writers. Although he is primarily known for his bridge fiction, this new instructional book has the hallmark of elegant writing as in all his other publications. 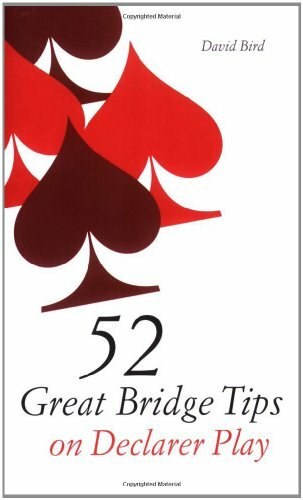 David has also written the very successful '52 Great Bridge Tips'.